MRSA infection is due to a bacterium named as Staphylococus aureus. These bacteria are the part of normal microflora and present all over the skin. These bacteria are usually harmless unless they enter into body through a cut or wound and sometimes these bacteria cause the minor skin issues in the healthy individuals. According to the Centers for Disease control and prevention, it has been found that less than 2% population carries the MRSA infections. It has been noticed that cases of MRSA bloodstreams infections in the hospitalized patients has been decreased form last many years because hospitals started using the prevention measures to control these infections. MRSA infection is due to access use of antibiotics. Sometimes bacteria develop the resistance to the antibiotic which is given for various infections like cold, flu or viral infection. Another cause associated with MRSA infection are surgeries, artificial joints or intravenous tubing and people who have visited the hospital like dialysis centers and nursing homes . These types of infections are known as health care associated MRSA infections. Another type of infection occur among the healthy people is called as the community associated (CA – MRSA). In CA – MRSA infections problems begins as a painful skin boil because infection spread through skin to skin contact. School wrestlers, child care workers and people who live in the crowded situations are at high risk to develop the MRSA infections. WHAT CAN BE THE SYMPTOMS OF MRSA INFECTIONS? MRSA cause the skin infections which results in the wound infections. Symptoms include like Redness, swelling, tenderness, pain and abscess formation. Besides this some people also experience the high fever. In MRSA infection Staphylococcus aureus are resistant to treatment. In severe cases skin infections can result in the necrosis and various other health complications like….. Infection can occur in the membrane which lines the heart. Respiratory infections may also occur. Infection can occur in multiple organs (Toxic shock syndrome). WHO ARE MORE PRONE TO MRSA INFECTIONS? Cut or burn in the skin can be direct passage for the entry of staphylococcus aureus inside the body. Worst skin conditions like psoriasis and skin ulcers. Intensive care unit (ICU) and surgical wards are at high risk of developing the MRSA infections. Taking the antibiotics that are ineffective against the MRSA infections. MRSA infections can also due to by inhaling the droplets or by touching the things like sink, utensils, bed and bench of person which has already MRSA infection. Improper hygiene – People are more likely to develop the MRSA infections that don’t wash hands properly. In Ayurveda there are various herbs which have antimicrobial activities and quite effective for the treatment of bacterial and viral infections. Ayurevda has the deep knowledge about the infection, even when the western medicines have only assumed it. In Ayurveda even there are sanskrit names for microorganisms. Surgery is an important part of Ayurveda so Ayurvedic surgeon has the idea about the hazards of infections and how to fight against them. There are various herbs which help to enhance the immunity and get rid from bacterial infections. Moreover in Ayurveda it is believed that sun rays at sunrise and sunset have the germicidal properties. 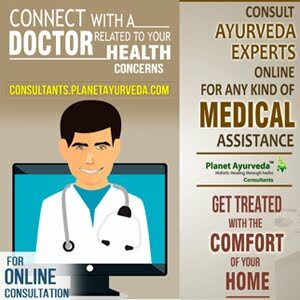 Infections in Ayurveda are known as rakta dushti (aggravation in blood) or pitta dushti (aggravated pitta). It is believed that infection is due to unbalancing of pitta dosha which results in the blood toxification. Infection usually starts with mild fever. 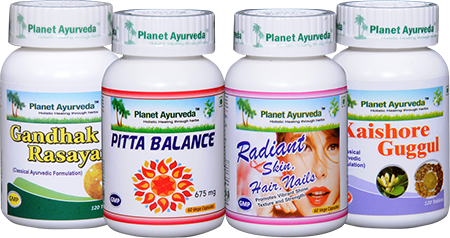 Planet Ayurveda is the herbal manufacturing company has been started around 15 years ago. This company emphasis is to boost up good health along with the treatment of disease. This offers the various products like herbal capsules, herbal tablet, herbal powders and herbal beauty products. This company works for the mankind and all the products provided are 100% pure without any side effects. Gandhak rasayan is the wonderful formulation of Planet Ayurevda for the MRSA (Methicillin Resistant Staphylococcus aureus) infection. Herbal product is available in the form of capsules and prepared from purified sulphur which is known as “Gandhak” in Sanskrit. Benefits - Gandhak rasayan helps to boost up the immunity. It is the beneficial remedy for skin infection associated with MRSA. This Herbal remedy for MRSA infection gives the pleasant results in the patients. Praval pishti (coral) – This Ayurvedic compound helps to balance the pita dosha, improves the immunity thus quite effective in the treatment of MRSA infections. Akik pishti (Agate) – Akik pishti is a gem stone found in seas. It provides the relief in the problems associated with pita dosha. Jawar Mohra pishti – This compound also helps to balance the pita dosha thus provides the relief in MRSA infections. Kamdudha ras – This herb is also quite effective in the treatment of MRSA infections. Mukta pishti (Pearl)- Mukta also helps to balance the pita dosha and improves the immnunity. Giloy – This herb helps to strength the immune system and thus quite effective for the treatment of MRSA infections. Dosage – 1 capsule two times in a day. Kaishore guggul is an amazing blend of 11 natural ingredients like Amalaki (Emblica officinalis), Bibhitaki (Terminalia bellirica), Haritaki (Terminalia chebula), Guggul (Commniphora mukul), Guduchi (Tinospora cordifolia), Ginger (Zingiber officinale), Black pepper (Piper nigrum), Long pepper (Piper longum), Vidanga (Embelia ribes), Red Physic nut (Baliospermum montanum) and Indian jalap (Ipomoea turpethum). Benefits – Kaishore guggul helps to boost up the immnunity which helps to fight against the bacterial infections thus effective in the treatment of MRSA infections. Radiant Skin, Hair, Nail Formuala consists the four natural ingredients like Manjistha (Rubia cordifolia), Pitta papda (Fumaria officinalis), Chirata (Swetia chiretta) and Ghrit kumara (Aloe barbadensis). Benefits – This herbal product helps to provide relief in skin infections associated with the MRSA infections. Dosage – 1 capsule, two times in a day. Hospitals are at higher risk of developing the MRSA infections. So it is mandatory to follow the guidelines of CDS (centers for disease control). Visitors and health care staff should wear mask, gloves and gown while visiting the hospitalized patients. Insect bites, cuts and pimples especially in the case of children can be the cause of MRSA infections. If the wounds get infected and accompanied by fever, must visit your doctor. WHERE TO BUY THESE HERBAL REMEDIES? Thank you for sharing this blog. It was very informative and helpful. Can you share some more tips that can be practiced at home for preventing MRSA infection? Sir my name is Vijay n I m from Gujarat, India. From last two years and more I m sufferings from boils taking place on my head. It causes me so much pain, that even I am not able to sleep properly. Firstly it starts with a red spot which is hard and painful, then it gets filled with pus and at last a layer of a small blood spot gets rid of my skin. During this entire process I feel so much pain, itching, and irritation. I have tried many medicines, but until a continue medication it vanishes. As soon as I finish my course, within a week or two it starts again with one or two boils and then the same situation. I m very much feed up now, because of this I m ssuffering from hairfall also. From last two years even I have not applied hair oil also. Because if I do so it really gets worsen. I really hope u can help me with this. Plzzz I m in urgent need of help.